The baby brother of one of Barceloneta’s classic rice restaurants grows up; El Nou Ramonet gets its own identity with creative new takes on traditional favourites. Can Ramonet used to be my go-to Barceloneta restaurant for paella in the late 90s. It was always packed, which is why, in 2003, the family who own it created a spin-off a couple of streets away: El Nou Ramonet (‘the New Ramonet’). Although the food here was the same, as a venue it lacked the charm of the original. I seem to recall a rebranding a few years later as a tapas restaurant but it didn’t make a big impression on me. I hadn’t been back for over a decade but I resolved to fix that when I learned that the owners had recruited Jordi Herrera as executive chef to oversee a full re-launch. Jordi is the chef/owner of one of my favourite restaurants, Manairó, so I was keen too see what he’d bring to the table here. The new-new Ramonet is bright, clean and modern, with faux-aged furniture. Its jaunty nautical themes (deck-chair striped seat-covers, model ships, fish tanks, etc.) connect it nicely with the area’s fishing heritage. Full disclaimer: I’d been invited to lunch here so I ate for free. The dishes in the following photos are miniature versions of the full thing, created so that I could try a wider variety of what’s on offer. The usual lunchtime menú del día costs €18. Á la carte, main courses range from €12-€27. There’s also a wide range of tapas. Expect to spend around €30-€50 per person whichever way you decide to go. Bombas (a traditional Barceloneta dish invented in the nearby La Cova Fumada) here come in a jar and actually have enough spiciness to lift the lid, unlike the insipid versions served in most placed in picante-phobic Catalonia. Salt-cod fritters al pil-pil are superb. I’m not a big bunyols fan but these are light and lifted by the smooth, delicate, garlicky sauce. Sardine coca is served on flaky pastry, not the usual crispy bread, with dried tomato, aubergine and sweet onion sauce. Esqueixada de bacallà, a Catalan salt-cod salad with excellent, meaty chickpeas. A sea bass cooked in salt, flaming on the serving tray, was carried through the room at this point to two retired local gentlemen. The stream of constant compliments from them from that point onwards suggest that it’s a dish worth trying. Next dish for me though, was one of Jordi’s personal favourites: Ebro delta mussels with grilled apple aioli. The tiny mussels are sweet and steamed correctly. The dipping sauce complements them without overwhelming them, but I’m not convinced that it much improves them. They’re hard to improve on. It’s immediately obvious that the next dish is one of Jordi’s: sardines blowtorched tableside. Different, delicious and served with excellent garlicky aioli on waxy potatoes. Slow-cooked beef falling apart in perfect strands (but not turned into mush, as happens too often with sous-vide). It’s great. Unfortunately, the prawns served with it added little. They were too small to be easily peeled and too big to be eaten whole. They were also over-cooked, apparently deliberately, perhaps as a relic of the unfortunate legacy seen in many rice restaurants of older customers preferring their shellfish seared to near-cinders. The vegetables couldn’t be described as al dente either. It’s a shame but the meat alone makes the dish worth ordering. Then a mini-portion of paella (photo of the usual dish included for reference). It’s a Barceloneta mainstay and hard to shift from menus. Knowing Jordi, however, I suspect that the future will see the introduction of more creative rice dishes. Until then, El Nou Ramonet’s paella is a very good traditional version and you won’t go wrong ordering it. Yoghurt, dehydrated strawberries, lime and a crumble base. Very good, but not as good as the egg yolk sorbet with rum-soaked raisins. El Nou Ramonet has taken some important steps towards defining its own identity. It is ready to be considered as somewhere to visit on its own merits, not just as a plan B for when too many tourists or local familes descend on Can Ramonet at weekends. Right now, El Nou Ramonet is a promising work in progress. It is building new dishes on the Barceloneta blueprint of classic tapas and seafood, an evolution that deservedly earns it a place on the culinary map of the neighbourhood. There is, however, a sense that El Nou Ramonet still gathering speed to match Jordi Herrera’s creativity. He came into the restaurant while I was there and, as always, he was buzzing with ideas. Ana Sanchez, of the family that owns Grupo Ramonet, was also around and it seems that there is a solid understanding between them of the possibilities. There are, frankly, enough straightforward, mid-priced seafood restaurants already so it’s exciting to see something new in development. I’d happily revisit here, both to enjoy the current dishes and to see what’s new as the restaurant grows in popularity and confidence. Barceloneta just got more interesting. El Nou Ramonet: Carrer Carbonell 5, 08003, Barceloneta, Barcelona; Tel. (+34) 93 268 3313; Metro Barceloneta; Open every day except Dec. 25 and 31, 12pm-midnight. 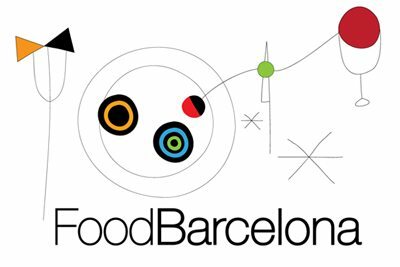 Find El Nou Ramonet on the FoodBarcelona restaurant map. Check out my other recommended restaurants in Barceloneta. You’ve tempted me – I’ll have to check it out. If you like La Mar Salada, this is a similar philosophy. Jordi isn’t involved with ENR the same way that Marc Sengla is at LMS (it’s not his primary restaurant) and so doesn’t have the same control of the menu, but it’s the closest comparison and will (I think) get closer in the future.